Google+ Mom to 2 Posh Lil Divas: Imaginative Play, Creativity & Learning with Safari Ltd. 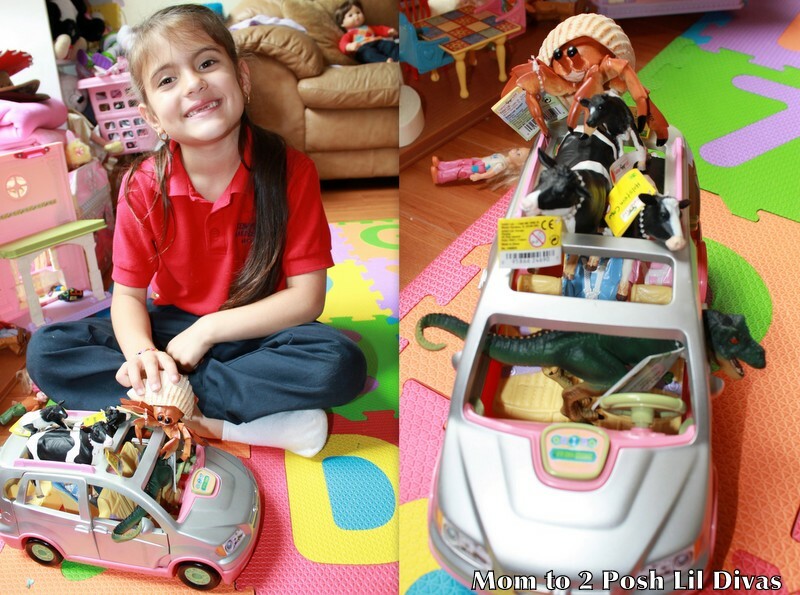 Imaginative Play, Creativity & Learning with Safari Ltd.
We know play is vital to childhood (& learning!!!!). 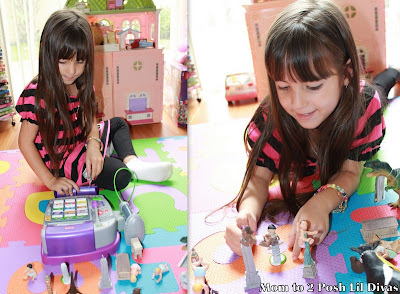 In this heavily technological age, I find it's important to give children access to toys that will spark their imaginations and engage them in creative/imaginative play. Safari Ltd. makes awesome hand painted authentic replicas. I have been using their Toobs for years both in the classroom and with my own girls at home (they are great for themed bins/small world play). Safari Ltd. sent us a box of goodies to sample which included Babies & Around the World Toobs ( I seriously LOVE Toobs! 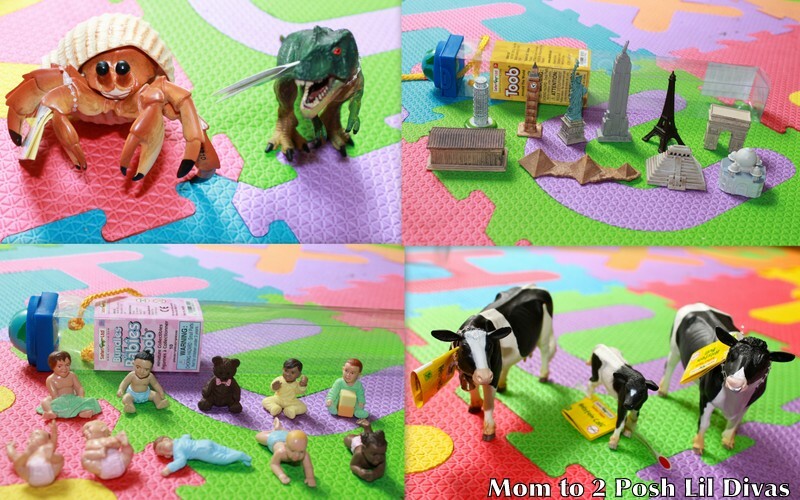 ), a T-Rex, a hermit crab and a set of Holstein cows. The mix of items that arrived was great. The Lil Divas immediately gravitated towards the Babies Toob. It's an adorable set of mixed ethnicity babies in varied positions - some sitting, some crawling and others laying down. 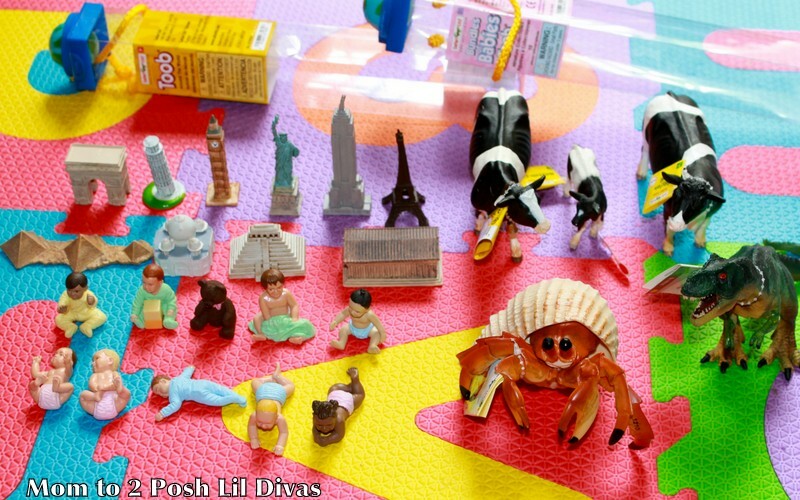 The babies played in the doll house for a bit but that wasn't exciting enough and soon we had "Super Babies" flying atop world landmarks, fighting dinosaurs and narrowly escaping hermit crab claws. It was fascinating to watch all the different scenarios sparked by these small toys. The Littlest Diva decided to open up a shop with all her new toys so we were even able to sneak in some math (yay!) while we played by paying for items and supplying change. The Around the World Toob sparked lots of questions which gave us an opportunity for impromptu research and learning as well. The Lil Divas could identify many of the landmarks (more than I thought they would know) and the ones they did not know, lead to some nice discussions and new learning. The Oldest Diva opted to pile everyone into the car and head out on an adventure across the wilderness terrain that is the playroom! There was lots of opportunity for silly play. Kids need that & it was so much fun to watch it all in action. 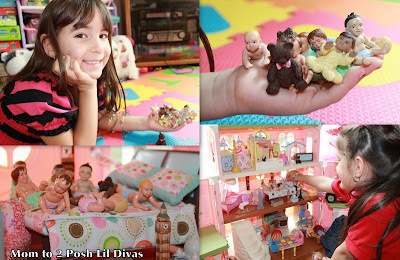 I really enjoy watching the Lil Divas imaginations take flight. Seeing them come up with so many different creative scenarios while playing with these replicas was wonderful. The fact that we were able to incorporate some learning into our imaginative play was the icing on the cake. A big thank you to Safari Ltd. for sending us this box of goodies! There will be lots more play (& continued learning) with these items in our future. If you want to know more about Safari Ltd. check out their website and Facebook for information. Disclaimer: Safari Ltd. sent us the above products to review. I was not paid for this review. The opinions represented are my own and based on our personal experience with the product. What fun play!! Well written review as well.